This was the third of nine stops as part of "Eat the Peachtree 2014" - I called it the "Peachtree Road Crawl" in my Twitter and Facebook posts as the event was happening. Locate all the posts along with an intro if you search my blog with ETP2014. 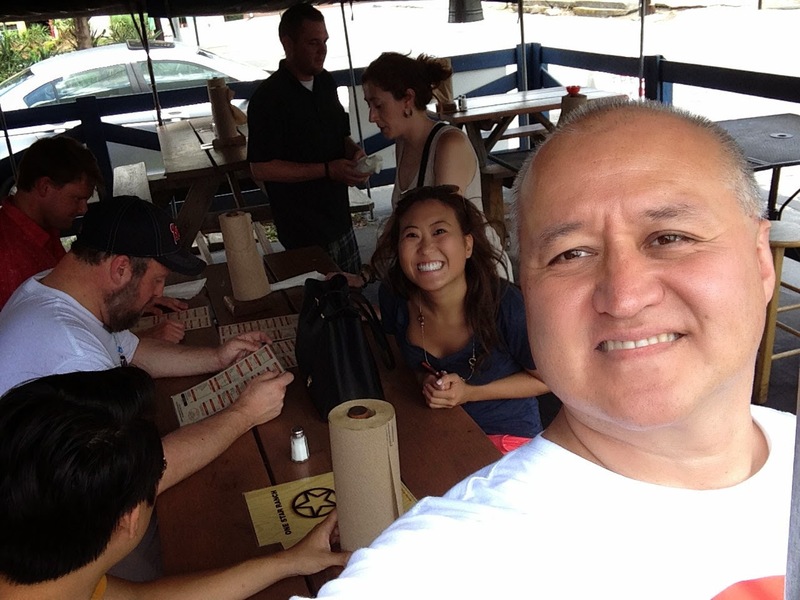 We walked from restaurant to restaurant in search of the best flavors in Atlanta, while enjoying the same sights as you would while running the Peachtree Rd Race. 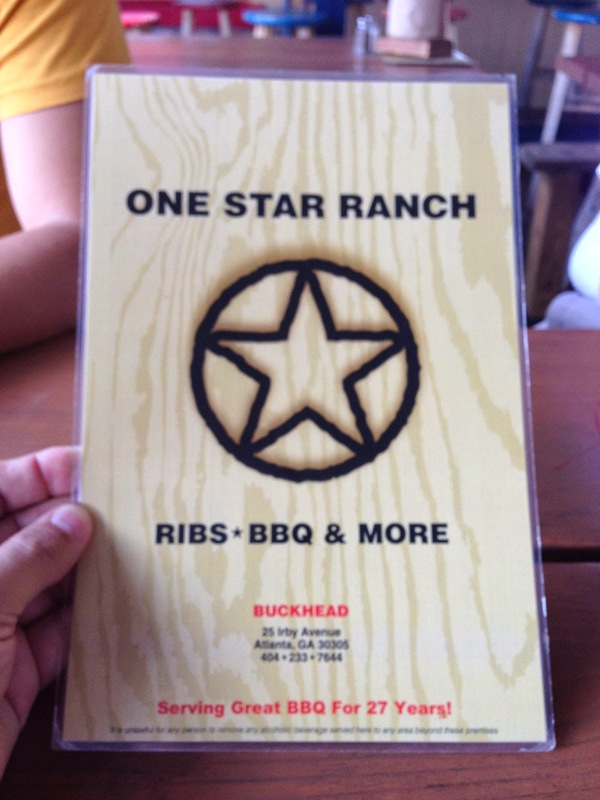 This time we had to sample a Buckhead institution, One Star Ranch! 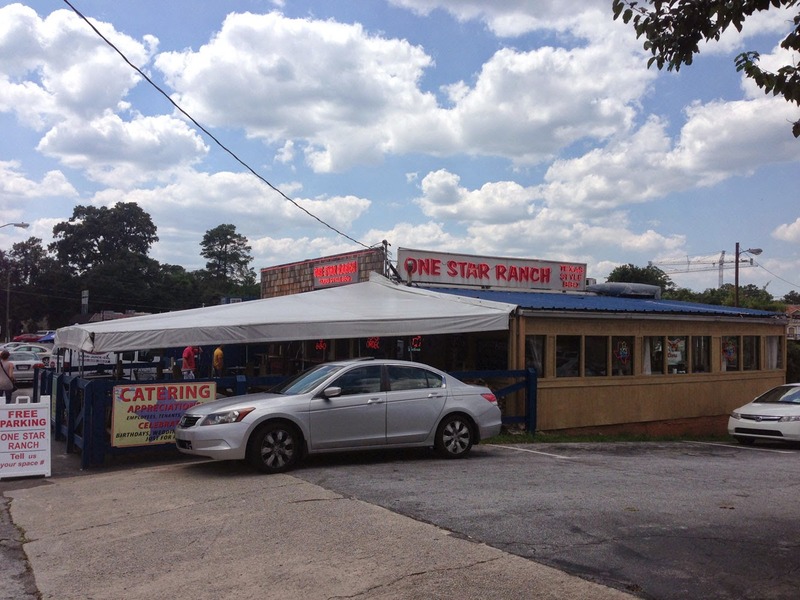 One Star Ranch is in Buckhead located on 25 Irby Ave NW, just South of where Roswell Rd dives into Peachtree. 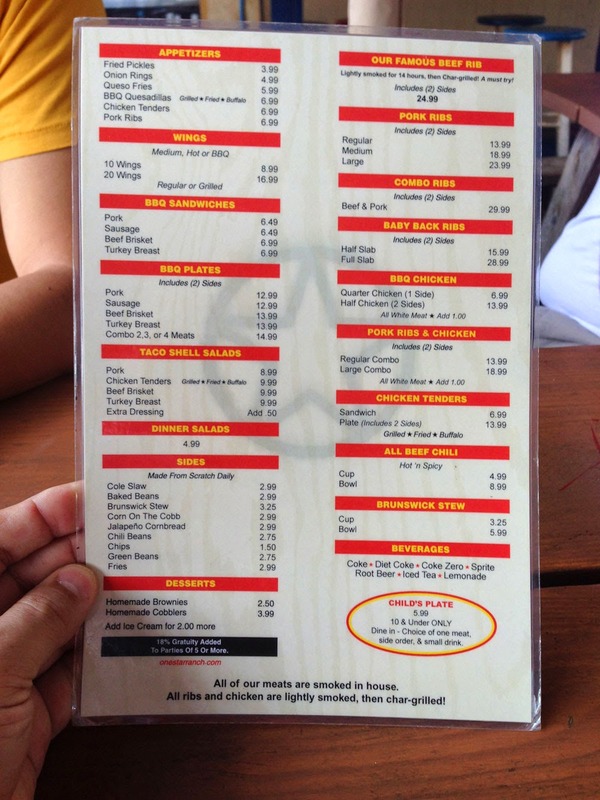 I first ate this great BBQ when it was called the Rib Ranch - it's your typical throwback to a time when BBQ was all about the food and good times - this is a no frills restaurant with picnic tables and ice cold beer - no fancy table cloths here. We decided to eat outside under the cover of an awning, and enjoy all the foot traffic (at one point a handful of Belgian soccer fans walked by, sporting bright orange wigs and hooting loudly - the World Cup match was about to start shortly). 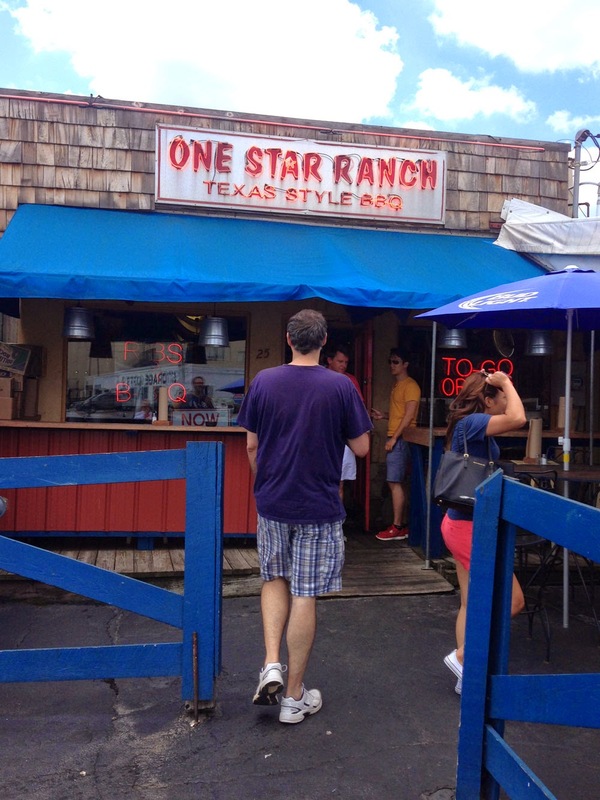 I've had many of the various types of BBQ offered by One Star, but I basically forced everyone to share a single order of the Beef Rib. If you haven't had this before, it's really One Star's signature dish - it's basically a large "brontosaurus" rib with the ribeye still attached! It's really awesome, and for our group of 7 the perfect amount of food that allowed everyone to have a bite. 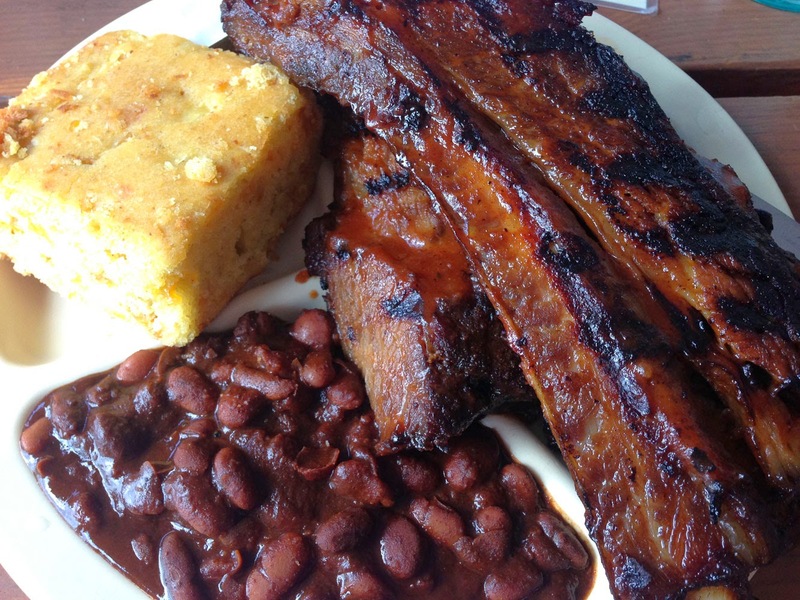 Accompanying the rib was a side of beans (more like chili beans) and a chunk of cornbread. 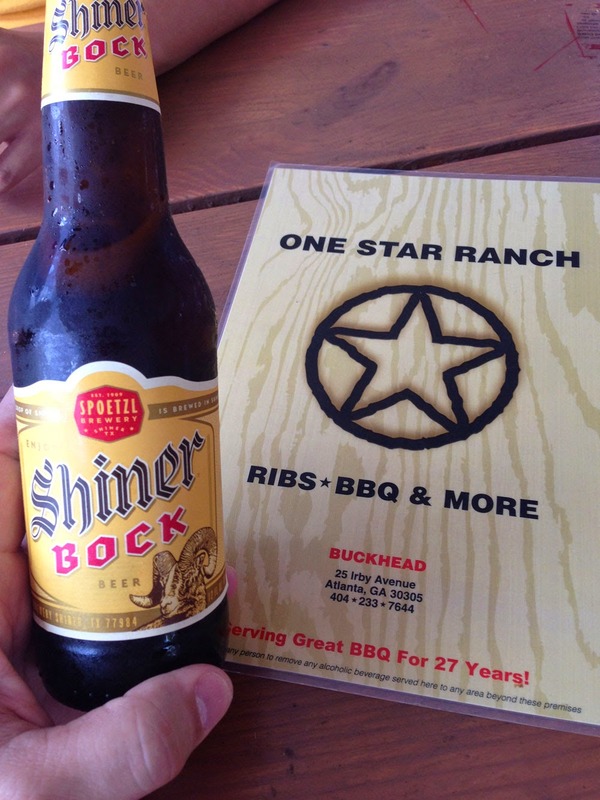 We all elected to drink bottles of Shiner Bock - if you're from Texas you'll understand. 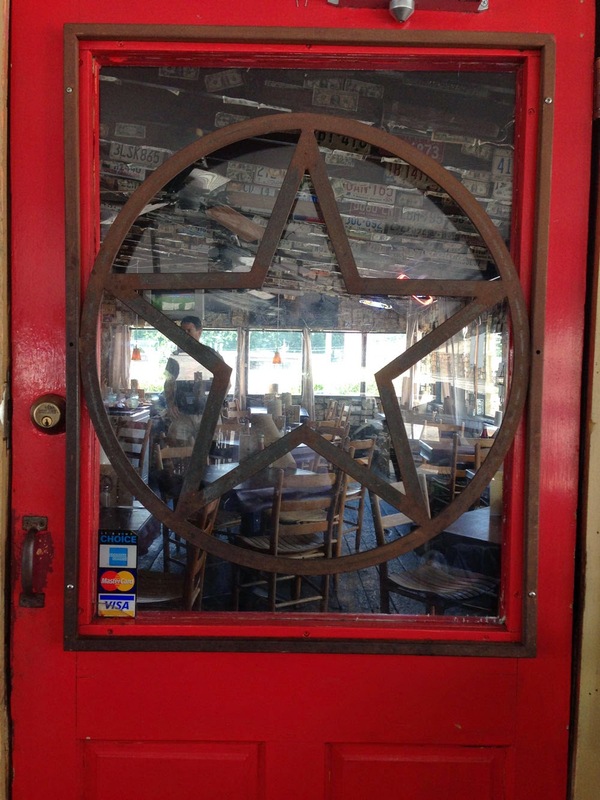 This is perhaps Texas' biggest contribution to the world of beer (at least in the US). 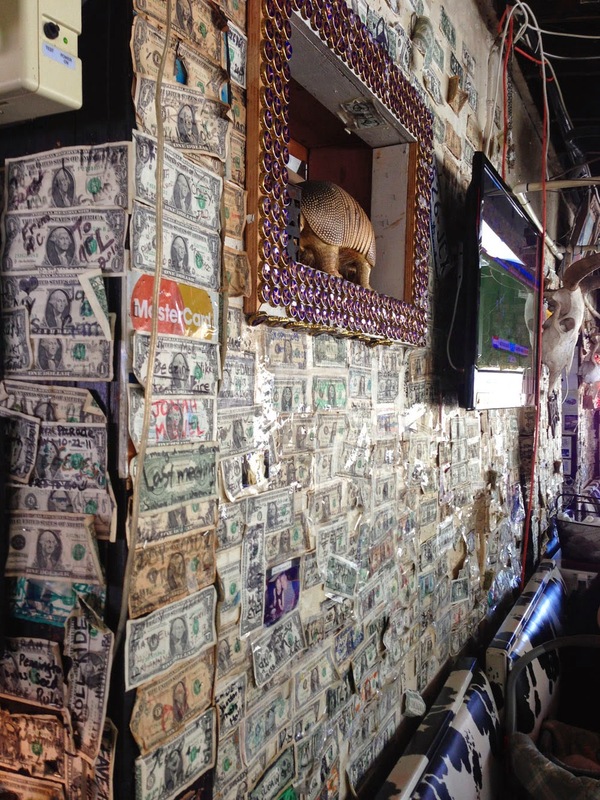 The interior of the restaurant is what you would expect - dark and covered up with souvenirs from Texas and elsewhere - I especially like the "buck" wall with the stuffed armadillo. Service was excellent with our food and drink coming to us in record time. 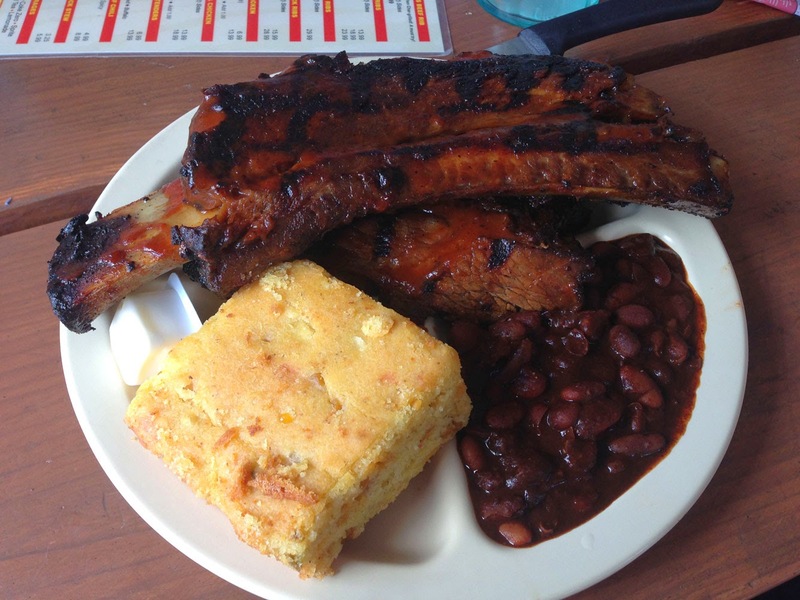 The rib was out-of-this world - if you go, make sure someone orders it and is willing to share! Parking can be a bit iffy - your best bet is to park on the street in the surrounding blocks. We were on foot so it wasn't an issue. 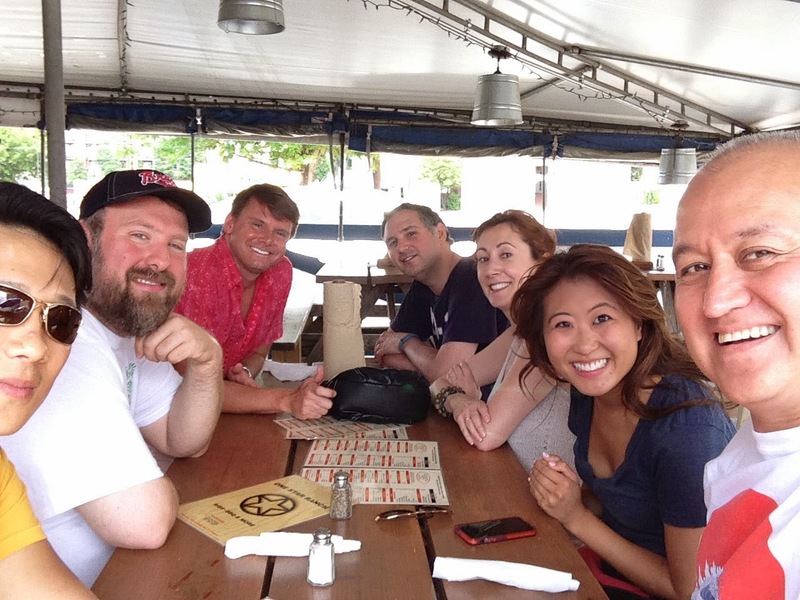 After eating our succulent morsels, we continued down the street to location four, the classic Fellini's Pizza! Good times!